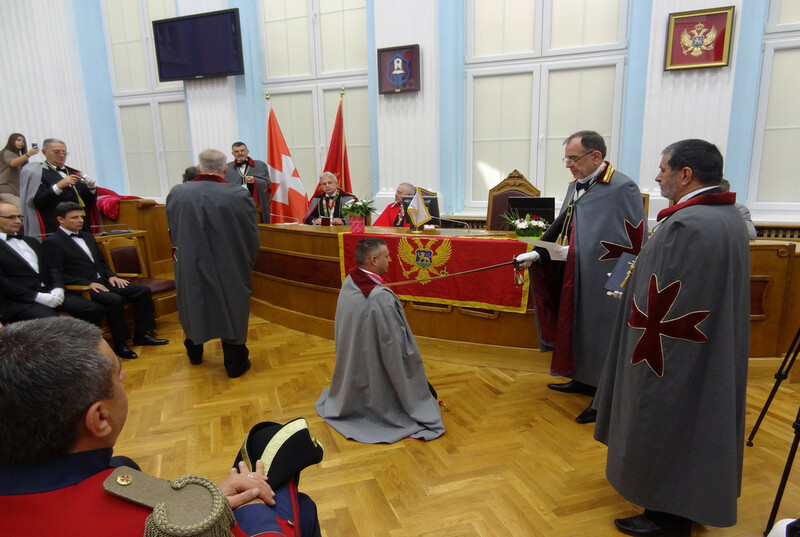 The traditional initiation ceremony of new knights of the Order was held on the 5th October 2013, for the first time in Montenegro – specifically in its former capital Cetinje, at the old royal parliament ceremonial hall. 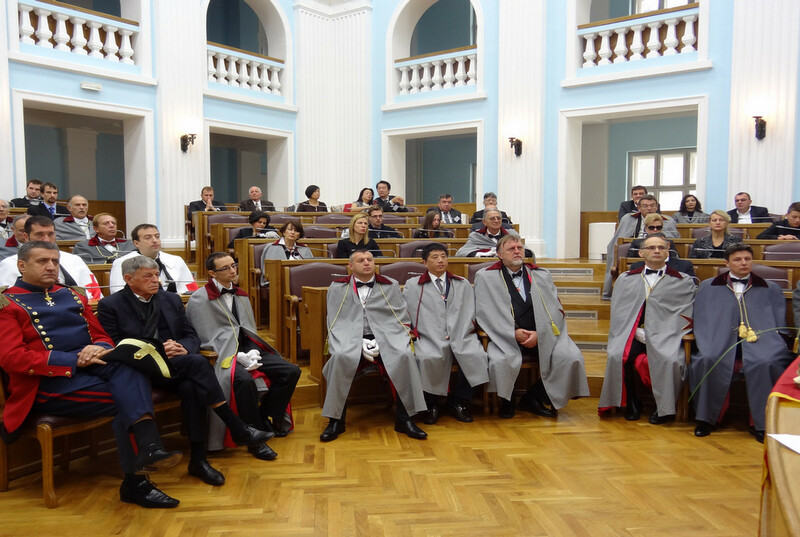 This time six new knights were initiated to the Order (two candidates from Serbia, one from China, one from Hungary, one from Romania and one from Montenegro). 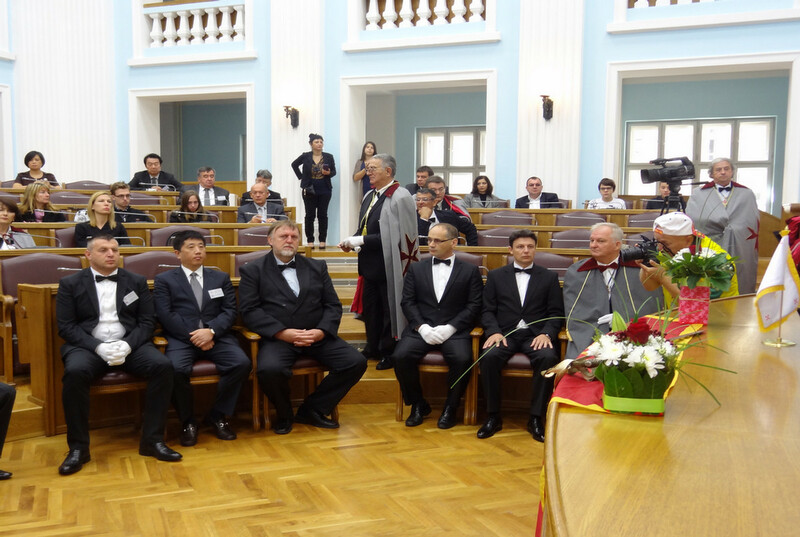 Among the dignitaries of fraternal orders, who participated at this great event the guest of honour was H.G. 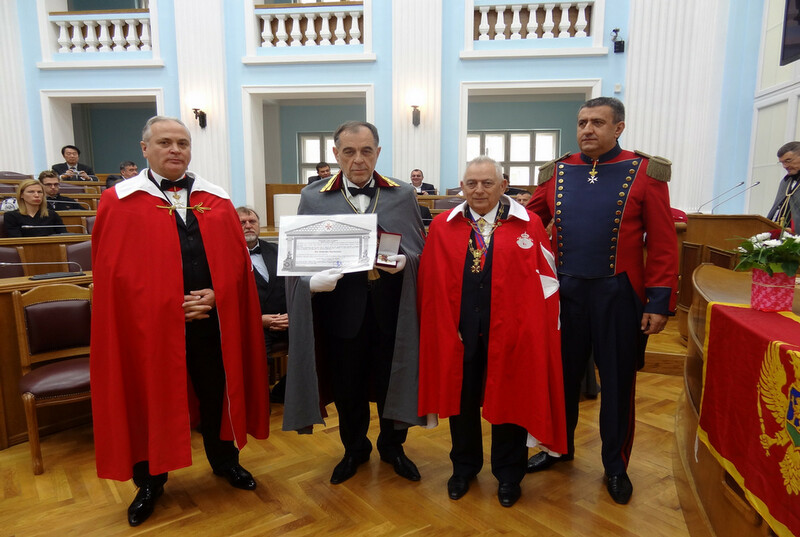 Prof. George Popper, Lieutenant General of the Grand Master of the Sovereign Order of Saint John of Jerusalem, Knights of Malta – KMFAP. 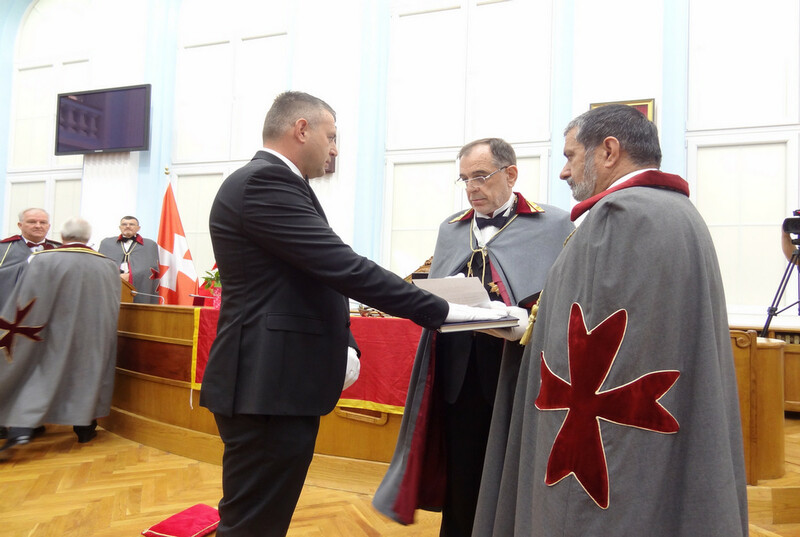 At the beginning of the ceremony, His Grace Prof. Popper handed over the high decorations of KMFAP to His Excellency Sir Nedjeljko Gardashevich – Grand Master of PCO, and to His Honour Sir Andrej Schleining – Grand Chancellor of PCO, who are also respected members of Knights of Malta. Furthermore H.E. 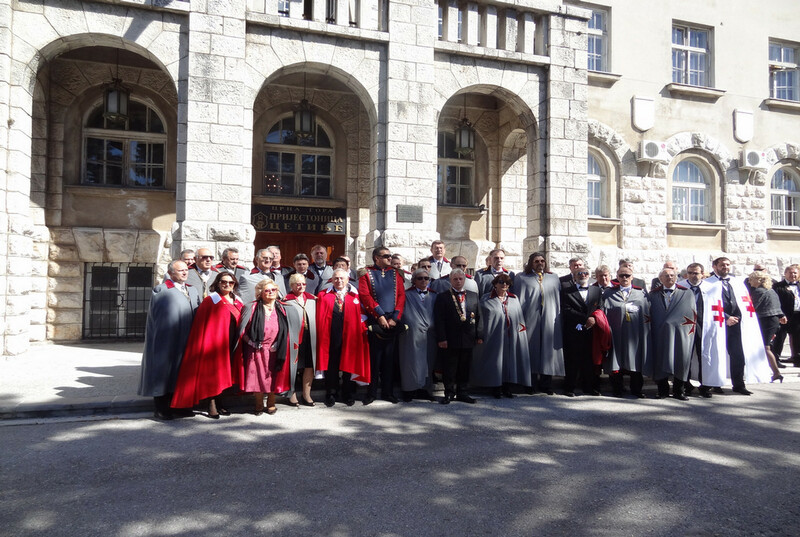 Grand Master Gardashevich and the General Prefecture of Montenegro have organised a generous program for all guests and participants of the ceremony, such as visiting the rich natural and unique cultural heritage of this part of Montenegro. 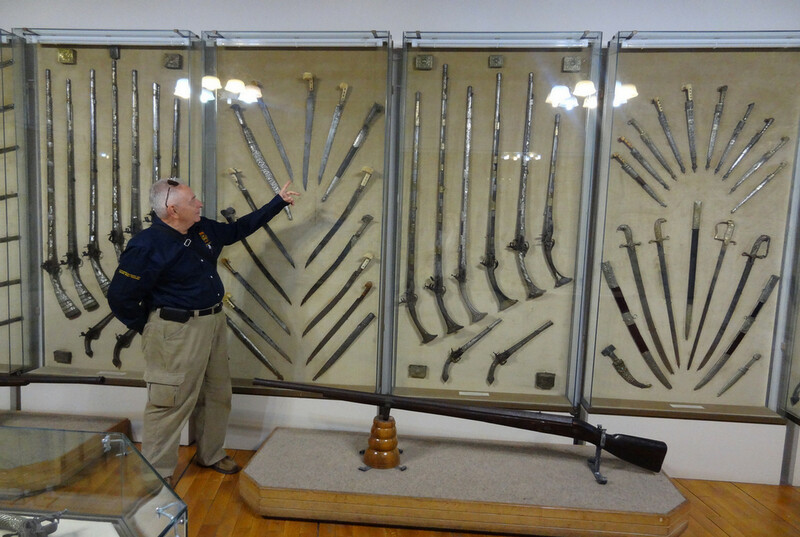 In the evening, after the ceremony, a gala dinner was held at the hotel „Vile Oliva” in Petrovac, in the vicinity of the historic town of Budva. During the gala dinner a significant amount of 1500 EUR was collected as humanitarian aid for a poor family from Cetinje. 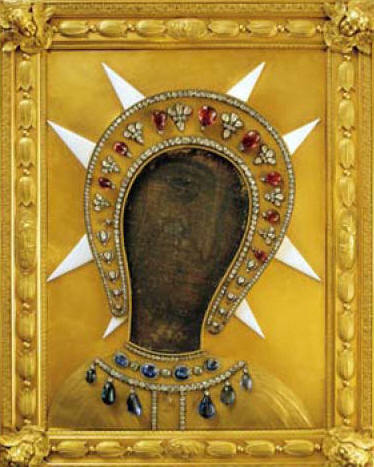 The donation was collected through the sale of the icon, representing John Baptist, donated by a painter and graphic artist Zorica Djordjevic – dame of the Order, and through voluntary contributions of the present guests. 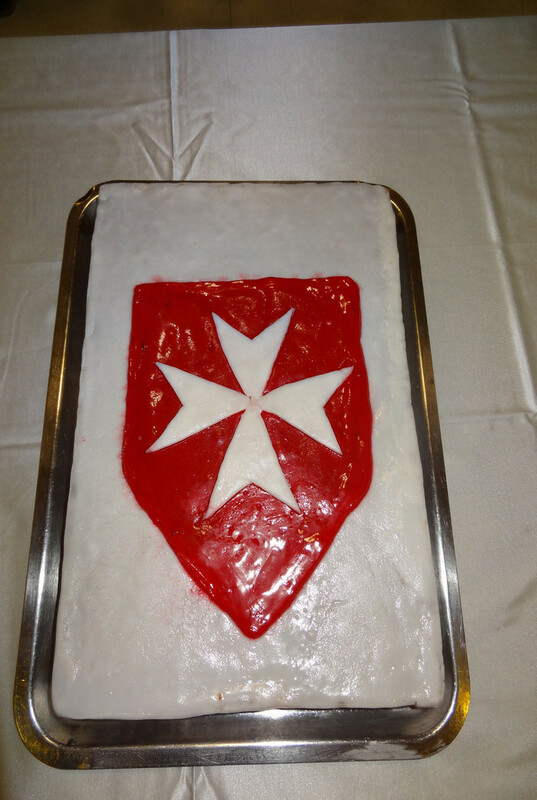 The icon was purchased by Sir Dragan Nikolic – Knight of Malta, who offered it to the Board of Religious Counsellors and Interfaith Pluralism of KMFAP. 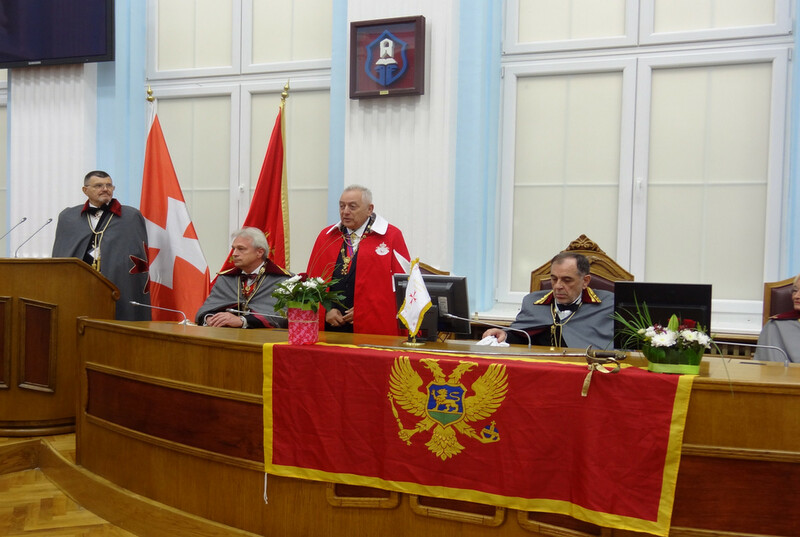 congratulations to our friendly Order for this high level ceremony, which was an unforgettable event, organised in the beautiful Montenegro.